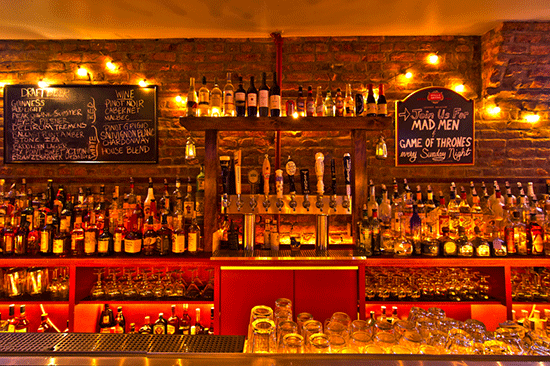 Double Wide is a neighborhood bar in the East Village with a southern kitchen serving small plates of such southern favorites as frito pie, queso, biscuits & gravy, and hot wings. Tacos & Tecate for $10. Enjoy rockabilly, classic country, & southern rock all night. NFL Football: Double Wide is now home to Los Angeles (formerly San Diego) Chargers fans in NYC. Double Wide has a private room that holds 20-60 people depending on the arrangement of the room. They offer party platters of food and open bar packages. A projector is available for screenings. Guests are free to decorate, bring cake, or play their own iPod. 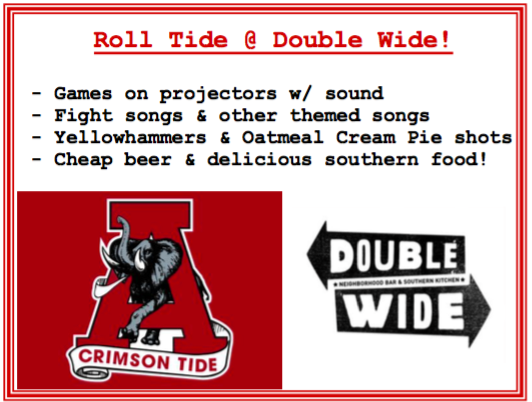 Email: contact@doublewidebar.com for info or to book.